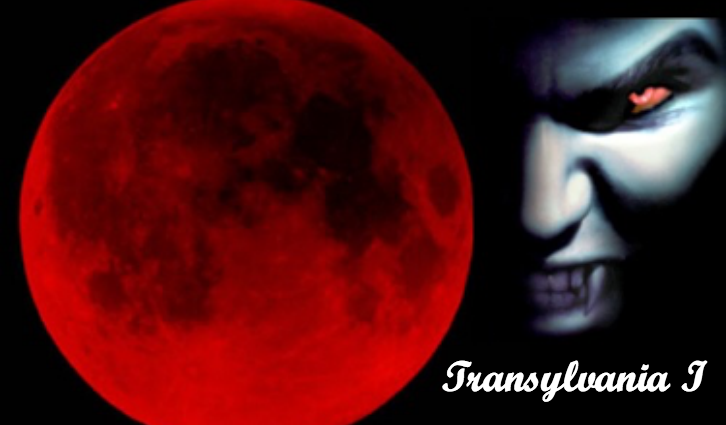 Transylvania. The name immediately evokes weird, scary stuff. 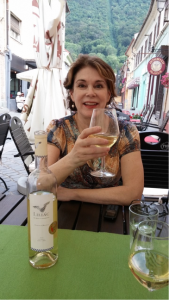 Trish came to visit me in Romania last week, and we went to the real place where vampires come from, namely Transylvania. Hold on. 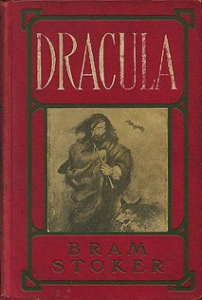 There are no real vampires, although stories about them abound, starting in Western fiction with John Polidori’s The Vampyre (1819), continuing with Bram Stoker’s Dracula (1897) and up through (but likely not ending with) the HBO Series True Blood (2008-2014 – not set in Transylvania, I know). not to mention the animated Hotel Transylvania and Hotel Transylvania 2 that spawned McDonald’s Happy Meal toys, plus a Simpson’s Halloween special set in Transylvania I couldn’t find on YouTube. Stoker got things going in Romania. 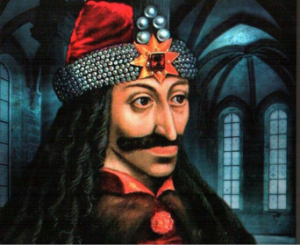 He designated Bran Castle, which is a short drive from the Transylvanian town of Braşov, as the place his title character lived – or where he had his coffin – or something like that. The castle is currently owned by the Archduke of Habsburg who got it back from the Romanian state after the Communists confiscated it from his relatives in 1948. It’s a museum and a major tourist attraction. Trish and I went to Bran on a beautiful Sunday afternoon. 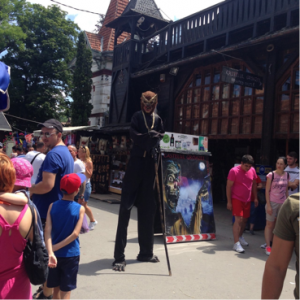 The atmosphere was like a carnival, with tons of booths selling Romanian souvenirs and a ghoul walking around on stilts. 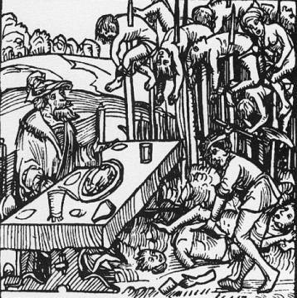 The castle was packed, wall-to-wall people, so many it was difficult to make it through. 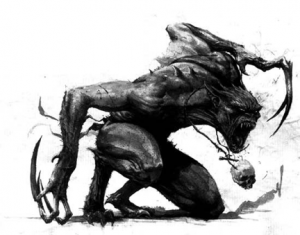 The Dracula story is further infused with Romanian mythological creatures known as strigoii, troubled souls of the dead who leave their graves at night and turn into fantastical creatures who do bad things to the living. Blood sucking fits right in. 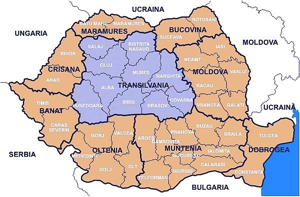 The myth of the strigoii apparently goes back to the Dacians, the pre-Roman and certainly pre-Christian people who once inhabited present-day Romania. 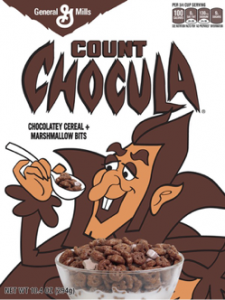 So the formula appears to be: Vlad Țepeș + a strigoi = Dracula. So what’s the deal with the garlic? 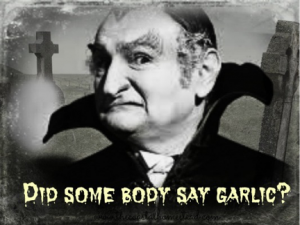 “Vampirism can be seen as symbolic of mosquito bites – and garlic is known in folklore as a natural mosquito repellent. 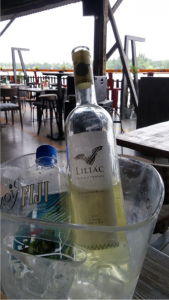 When we got back to Bucharest, we took a walk around Lake Herăstrău, and sure enough at a lakeside restaurant we stopped in for lunch, we got Bat wine again, this one a Sauvingon Blanc. Note on garlic: If you’re experiencing hair loss, rub slivers of garlic on your scalp then wrap your head in plastic and leave it for an hour and a half at most. Any longer and you’ll burn your scalp. Do this twice a week. Within three months you’ll see your first tiny hairs sprout up. You have to continue the treatment. Upside: it’s nearly free and completely natural. Downside: the smell. You’ll need to wash your hair at least three times after each treatment. I heard of this from a Romanian woman who says it works for her.